This is a very pretty 1880’s Advertising Card for Florida Water. 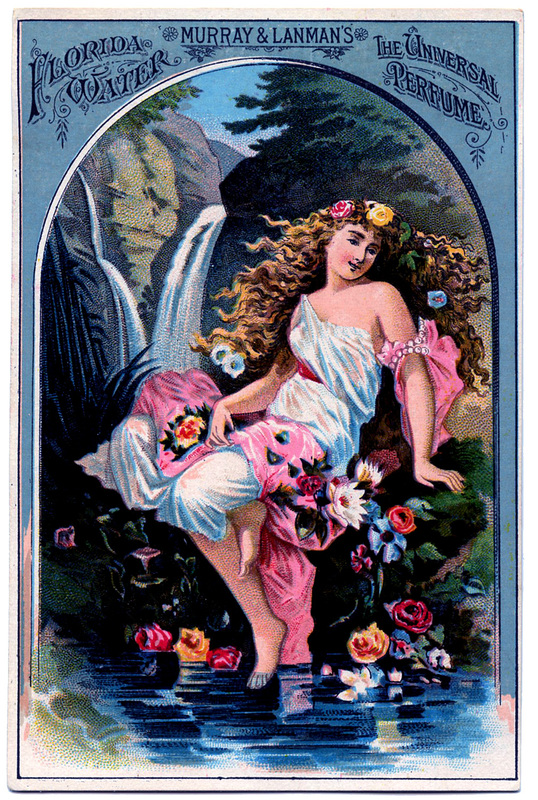 Shown is a Romantic Lady, surrounded by Flowers, and resting next to a Waterfall. Lovely! Charming Vintage Bohemian Woman with Coin Necklace Image! 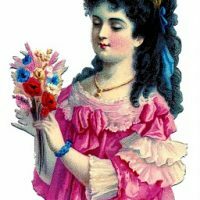 Victorian Scrap Image – Pretty Lady in Pink Dress 3 Cutest Vintage Owl Images! Found someone selling some of your images on Etsy, just thought I’d let you know. LOL, it’s for Florida water but we have no mountains in Florida. Too funny, thanks for sharing Karen! Florida water is a kind of after bath splash. I remember my grandmother using it. It has a rather unique smell to it. I remember looking at the pretty pictures on the bottles as they were very Victorian. I have seen that the product is still sold in New York and in Miami. Thanks Karen for the memories. I can still recall the scent as I am writing to you.